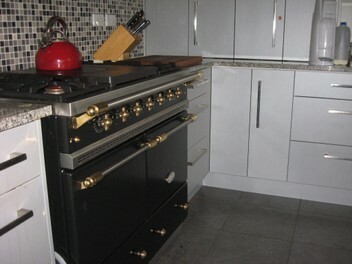 We are the sole importers of Lacanche range cookers. These French dual fuel Range cookers are individual­ly built to your specificat­ions. Add value to your house. The kitchen is the centre of the home and your Lacanche range is the beating heart. These custom-built ranges from France put real WOW factor in your house. What width? What hob? What fuel? (gas or electric or a mix of both) How many ovens? What colour? What finish? Matching hood? All these choices make these cookers special. Their pedigree is 150 years old. These are professional quality ranges are used by the best in their homes and in the workplace.